Have you ever thought about the concept of integrating Virtual Reality (VR) and hair care? 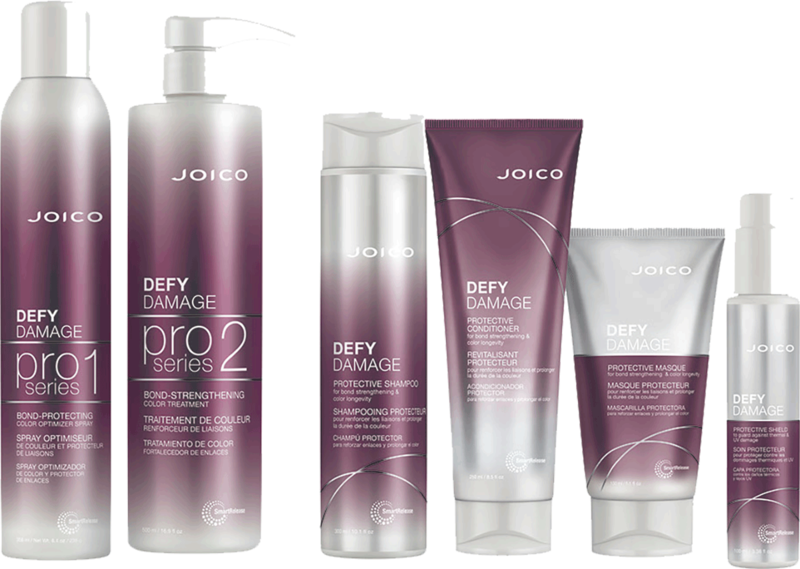 Well, Joico has put much thought and action into the process and has proven it to be ideal during a pioneering merge of VR and promotion of their new Defy Damage: an in-salon 2-step system “ProSeries”–the next generation in bond building– and at-home care line. During the third quarter of 2018, Joico embarked on a series of roadshows announcing a new and yes, innovative product that would be launched in March 2019. Defy Damage, a 2-step professional in-salon bond-building, bond-protecting and color-protecting treatment with an at-home care range had to be seen and felt to be believed. It’s that good, but Joico had a problem with their new game-changer. How could it get the most people to “experience” what had to be seen to be believed? Enter, VR. Could VR be the answer? Joico decided to engage in a rarity within the professional hair care industry – leveraging new tech and new media to design VR for exploring a Defy Damage hair world experienced only through the use of headsets. The 3-D journey exploring Joico’s Defy Damage through VR was a hit among stylists. Going beyond the roadshows and tying this hot concept to more tried and true efforts, Joico began sending deliveries equipped with VR cardboards to its closely developed relationships with influence-professionals like Joico Brand Ambassador Larisa Love @larisadoll, Olivia Smalley @omgartistry, Ariba Pervaiz @ariba_pervaiz, Gina Bianca @ginabiancahair, plus top celebrity stylists Frederic Aspiras @fredericaspiras; Haus of Gaga co-founder, Denis de Souza @denisdesouza, and the crew at celebrity hot-spot Nine Zero One (a Joico LumiShine Color partner salon), and many more! In addition, Joico continues to provide plenty of opportunities to try the real thing by executing a massive sampling effort through its partner distributors, direct-to-professional care packages, and via online sweepstakes for consumers to nab some at-home care samples. Through Joico’s VR experience for Defy Damage, pros and at-home consumers alike will get the chance to learn about the product in a fresh and fun way. The brand is using this naturally engaging technology to drive home the point: “See It. Feel It. Believe It! Defy Damage completely changes the way that you view damaged hair. Imagine a world where preventing hair damage is no longer a dream. Welcome to the future of healthy hair. Watch the video to discover what Defy Damage can do for your clients’ hair. At a Surprise Reveal of Defy Damage you will hear what hair stylists and their clients have to say about the product. Watch the video to see for yourself. Defy Damage solves many color, thermal and environmental issues for hair as it protects, rebuilds and strengthens hair from the inside out. Many color, thermal and environmental hair issues are solved. Smart Release Technology creates stronger and more resilient hair, bond strengthening and a complete defense system against all sources of damage. Powerful Moringa Seed Oil acts as the first line of defense to block thermal, physical, chemical and UV damage. Hair looks and feels healthier in just one use. Triple power ingredients of Arginine, Rose Hip Oil and Keratin are packed inside an invisible lipo zone, a one of a kind delivery system that offers continuous release to the hair protecting it against the reoccurring damage experienced from daily styling and wear. The more time goes by, the harder Defy Damage works making hair stronger, shinier and healthier. Step 1: Defy Damage ProSeries 1 Bond-Protecting Color Optimizer Spray is quick and easy. There’s no complicated mixing or measuring and no change to your bleach or color formula. Applying to dry hair before chemical service, for optimal results and comfort during use, shake can vigorously and hold the product 3-6 inches away from the hair, spray in horizontal sections of dry hair in short bursts on a downward angle; comb through to ensure complete and even distribution. It starts to work before bleach or color ever touches a single strand of hair. Step 2: Defy Damage ProSeries 2 Bond-Strengthening Color Treatment is a luxurious bond building treatment used at the shampoo bowl. It instantly regenerates bonds, strengthens the hair, and offers off-the-chart protection from styling damage. Leave on for 2-5 mins, then rinse out. The Defy Damage product line also includes a Protective Shampoo, Protective Conditioner, and Protective Masque all for bond-strengthening and color longevity. Also included is Protective Shield which guards against thermal and UV damage. Welcome to the world of Defy Damage where preventing hair damage is no longer a dream but reality. Shop at your local Armstrong McCall store.